With so many Ecommerce stores running and many more to come, achieving easy success in the online market is somehow difficult. If you are a responsible business owner who own an e-store, chances are that you have had tried all the possible methods to gain more and more user conversions. It is actually a good thing and also the need of the hour. If you managed to boost the conversion rate for your online store, its pretty good. In case you are still trying, then let us help you with some effective tips. Are your store visitors really interested for email subscription? If not, then compel them to subscribe by offering discounts and incentives for every subscription request. By giving them additional 10-20% off for a sign up, you can see the rise in your subscribers within few weeks. By including interactive calls to action and quality content, a store owner can evoke its visitors to become loyal customers or to make their very first purchase. Apart from this, make sure that the description of your product should be accurate and clear, otherwise you’ll start losing your existing customers too. Use headlines and other formatting tools to point out the important features of a product. Visuals and graphics are something that can make your business succeed. With attractive and clear cut images, one can sell even the outdated products. Texts can’t beat the visual impacts, therefore consider uploading quality images that motivates your customers to purchase a product. Many times, visuals are not enough to make a person understand what the product actually is and what purpose it serves. By providing a detailed information copy, you can satisfy a client completely. This product copy should consist of the purpose, material, usage, maintenance and other important details related to a respective product. This is the major reason why some people don’t opt for online orders. The shipping charges for an online product are often high compared to offline purchases. Most possibly, the sites that have more conversion rates offer free shipping for lightweight goods. If you can’t offer free shipping, at least reduce the delivery charges to minimum. These are the few simple ways to boost conversion rates of an e-store. 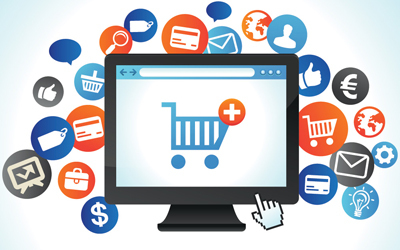 If you have tried everything but to no effect, consult our Ecommerce developers and marketers at IntegraWeb today.